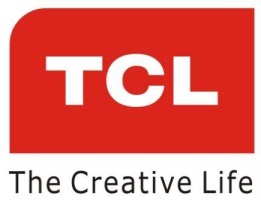 TCL touching heights of success within a very short period of two months of its launch in Indian market. 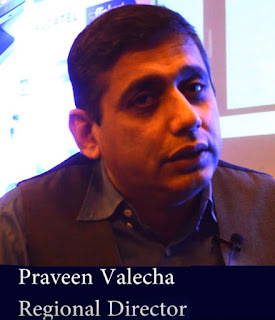 It become famous brand, as its not only selling its products here in India but also working hard for its quality products and Customer satisfaction. 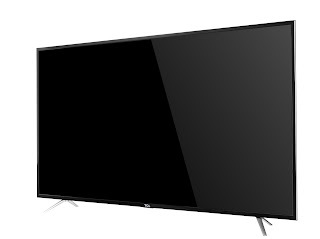 Now it unveils 65-Inch 4K UHD Smart TV equipped with The Mstar 64 bit MEMC chip which is one of the best in the world. TCL has become the top 1 brand for the larger screen category of this month on Amazon. 4. Dual Band 802.11 2x2 Wi-Fi provides instant access to movies, TV shows, music, sports, and news through your favorite apps. TCL UHD televisions reproduce stunning details, all shades of light and natural colors for a truly immersive viewing experience, via 3840x2160 pixels (4x the numbers of pixels on Full HD TVs). It delivers a complete multimedia home theater experience with its endless Smart TV capabilities and breathtaking picture quality. TCL’s 4K UHD TV represents singular focus on innovation that matters most to consumers, by providing the very best picture quality for the home at an affordable price. 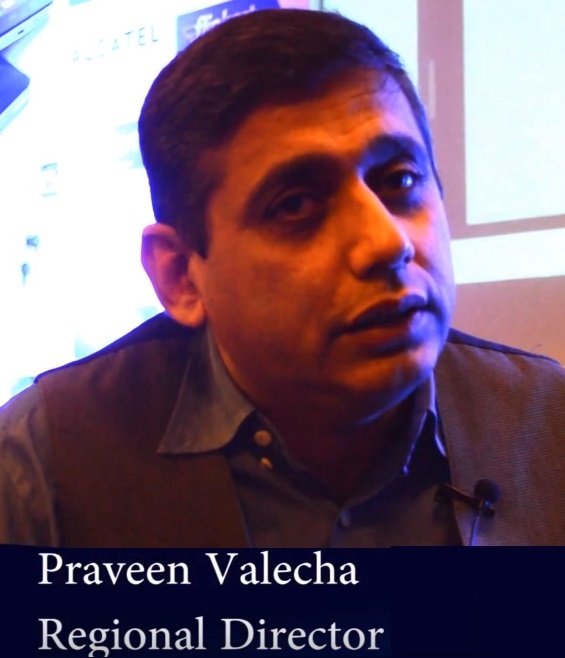 TCL gives highly value to the Indian market and expect to bring the premium products and services to the Indian consumers. In order to guarantee the best product quality, TCL exports complete TV sets to India even though it means higher cost compared with local assembly. Television technology has evolved so much in the last couple of years that it’s easy to get confused between LEDs, LCDs, Smart TVs and the like. As per the Amazon recent report, TCL has become one of the top 3 brands in the TV category for the month of October. Under 32-inch product (TV) category, TCL 32D2900 TV has secured one of the top 3 products of this month. And TCL has become the top 1 brand for the larger screen category. TCL 65 inch 4K Ultra HD Smart LED TV is powered by Cortex-A53 which is one of the most energy efficient and smallest 64-bit processors. The processor while being energy-efficient also delivers extraordinary performance comparable to a high-end smartphone. With the strong “2+2” CPU& “4+2”GPU chipset frame, P1 Series allows you to enjoy a faster and better smart world with great image experience. Users can enjoy an exceptional streaming experience with popular TV shows and movie productions in their highest quality with GoLive, a global live HD online cloud service provider, for short buffering times with real-time updates. Fast is not fast enough with the motion estimation and motion compensation chip. The Mstar 64 bit MEMC chip is one of the best in the world, enhanced with TCL’s proprietary software algorithm, you can now experience every detail when viewing fast moving, action packed content. 4K Ultra HD: See everything in greater clarity with 4 times the amount of pixels than Full HD TVs. TCL’s UHD televisions deliver stunning details and an ultra-sharp picture quality for a truly immersive viewing experience. 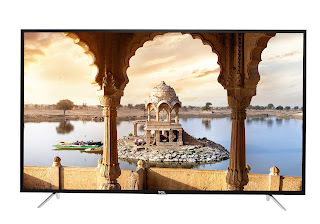 Enjoy breathtaking Ultra HD picture quality, with more than eight million pixels for enhanced clarity and detail, as well as the proprietary TCL Creative Pro 4K UHD Up scaling Engine, which allows consumers to view any HD content in near 4K quality. HRD Technology: HDR delivers greater picture contrast, enhances image details and brings vivid colors to life. HDR signal is an upgrade to the current television programming signal-standard. With whole-process 4K HDR technology, interface, chassis, consequently delivering a wider brightness range. Ultra Slim Design: Designed to be the envy of many, the segmented body looks slim and light. Framed to fit the creative life, with an overall thickness of 69.6mm, the thinnest part is only 12mm, the design is beautiful both inside and out. Multiple Multimedia Format: The latest ASIC system adopted by TCL, forms an umbrella of support for a plethora of audio and video formats including the latest coding system, from antenna to USB and various other input channels. The TV supports MP3, WMA, Dolby AC3 and MPEG2, MPEG4 (H.264) Video Coding. nScreen application: The TCL nScreen application lets users to use their smartphone or tablet as a remote control. It’s simple: just connect the Smart TV to the smartphone or tablet by Wi-Fi and will be able to share photos and videos to view on the superior TCL screen. View your phone's content on your big screen, relax, lean back and enjoy!